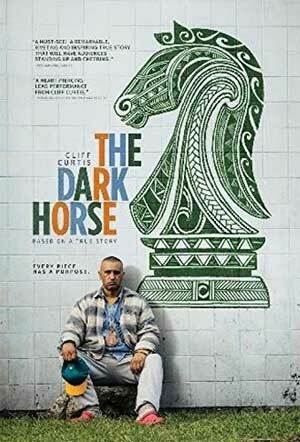 The Dark Horse is an inspirational drama featuring a strong performance from Cliff Curtis. The DVD released through Broadgreen offers decent enough video/audio transfers however no features were included. After years in and out of mental institutions, Genesis “Gen” Potini (CLIFF CURTIS) is released into the care of his older brother Ariki (WAYNE HAPI), a street gang leader. When he volunteers to train a group of disadvantaged Maori children for the upcoming National Chess Championship, it puts him at odds with his brother over Ariki’s son Mana (JAMES ROLLESTON), whose interest in the game threatens the teen’s imminent initiation into his father’s violent gang. Despite all odds, Gen’s positivity always leads him to search for light, even when the world seems at its darkest. The Dark Horse is shown with an anamorphic widescreen transfer and has some vibrant colors; the movie also comes with a standard Dolby Digital 5.1 track which provides crisp and clean dialogue levels with the front and rear tracks relegated for the music and ambient noises. Overall, The Dark Horse is an inspirational drama featuring a strong performance from Cliff Curtis. The DVD released through Broadgreen offers decent enough video/audio transfers however no features were included.